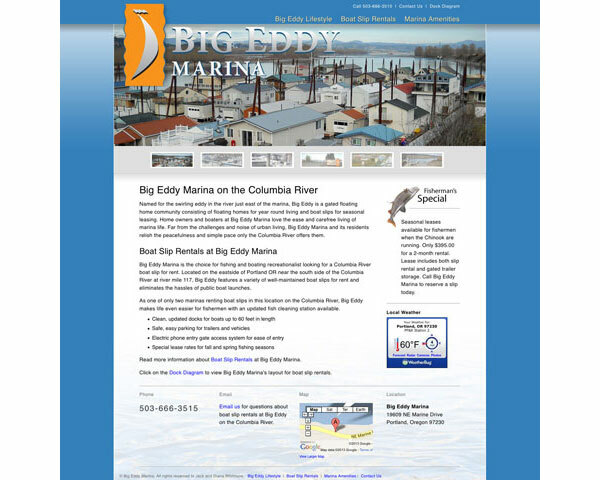 As one of only two private marinas on the Columbia River, Big Eddy needed a website rejuvenated to showcase its amenities. 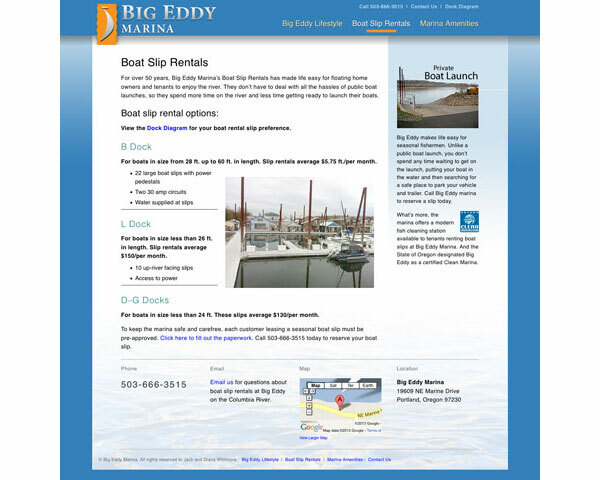 Working with owner Jack Whitmore, owner of Big Eddy Marina, I provided creative direction and project management using Adobe Dreamweaver. I provide site maintenance as well.